Which Kilimanjaro route should I choose? One of the most important decisions that trekkers make when setting out for Mount Kilimanjaro is which route to climb. In fact, many travelers will pour over countless descriptions of the various Kilimanjaro routes, trails looking for an answer to this question. In reality, there is no right or wrong answer, and no single route is better than all of the others. Ultimately, it comes down to your own expectations and the experience you want while on the climb. Many travelers are looking for beautiful scenery on their trek, which is why the Machame Route is so popular. But, that level of popularity also makes it much more crowded than some of the other options too. On top of that, Machame route is a more challenging climb and has a lower success rate as well. That is counter-balanced somewhat by the fact that it can be accomplished in as few as five or six days, making it a good choice for those with a tight schedule. Similarly, the Marangu Route can be in done in just five or six days as well and has the added benefit of allowing trekkers to sleep in huts rather than tents. But the trail isn’t quite as scenic, is often crowded, and it uses the same path going up as it does coming back down. The success rate isn’t as high on Marangu Route either, but it tends to be the most affordable in the Kilimanjaro routes for trekkers on a budget. Rongai Route is a good choice for climbers looking for an easier ascent, a high success rate, and less crowded trails. On top of that, the route is fairly scenic, although it doesn’t offer the same level of variety as Machame. This climb typically takes a minimum of six days to complete and It also starts on the more remote north side of Kilimanjaro, which can add to the expense. Lemosho Route offers a nice level of solitude and is a moderate climb in terms of difficulty, with an excellent success rate. 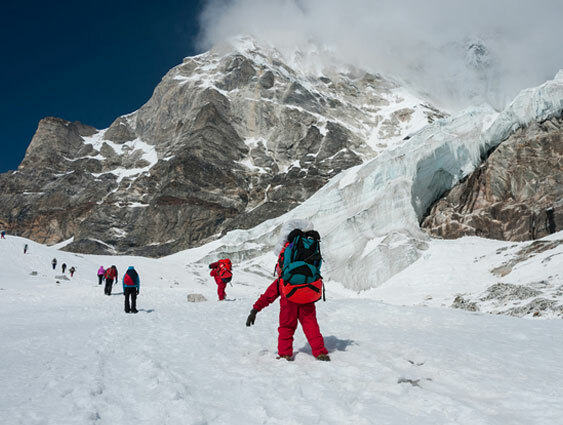 It does require seven or eight days to complete the climb however, which makes it unsuitable for those who don’t have plenty of time in their schedules. It also begins in a more remote section of the mountain making it bit more expensive too. Umbwe Route is often considered the most difficult route due to its steep and challenging approach to the mountain. It requires trekkers to be strong hikers and in good physical condition, which causes it to have a lower success rate. Those who choose this path are treated to some truly spectacular sights however and it is the least used trail on the mountain. The Northern Circuit Route is also relatively free from trekkers and offers some amazing views of the mountain, but requires a the longest time commitment of all of the routes. Because of this, the success rate is very high but it often doesn’t work for climbers with a limited number of days to devote to the trek. It can also be an expensive climb, ruling it out for those on a budget. As you can see, each of the Kilimanjaro routes has plenty to offer climbers, with each having a few drawbacks too. Finding the one that works best for you usually comes down to your budget and the amount of time you have available. No matter which trail you choose, you’re in for the adventure of a lifetime filled with experiences you’ll cherish for years to come.